How far has Western civilization come since the colonization of the Americas? Like the archeologists and conquistadors that came before them, gangs of looters known as huaqueros are removing cultural artifacts from historic sites in Peru and other Latin American countries. In Peru, this is happening at some lesser-known sites. Besides the Incas, Peru was home to the Moche and Lambayeque civilizations, which produced their own unique cultural works. Today’s looters, like their predecessors — treasure hunters authorized by Spanish colonial authorities and archeologists acting for the advancement of knowledge, can leave a wasteland behind them as they ransack heritage sites for items to sell or display. Most huaqueros are poor, local farmers. Jeff Morgan, executive director of the Global Heritage Fund, sees a solution in revenue sharing. He urges that locals should get at least 30% of all revenue generated by heritage sites. 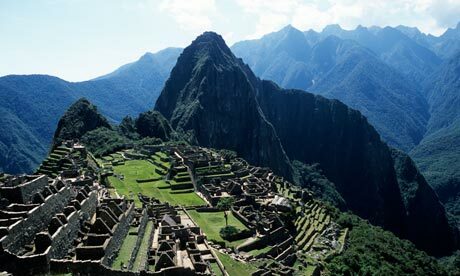 But, in order for this to matter, Peru will have to find a way to get tourists to visit one of the country’s many heritage sites other than Machu Picchu. For more information visit The Guardian. Previous Previous post: Loyola hosts a conference on "Reclaiming Art and other Heirlooms Lost in Atrocities"